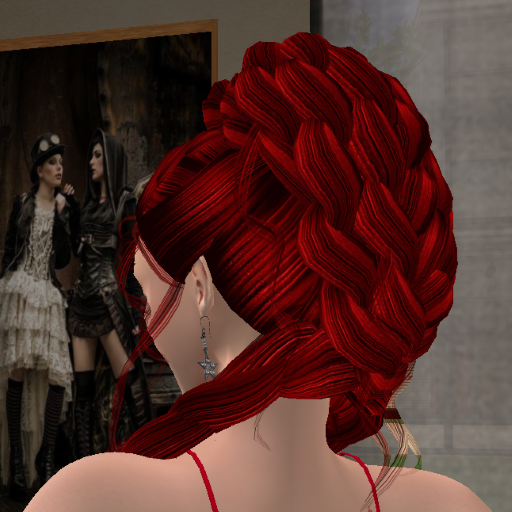 This week’s first offering from Alli&Ali Designs Mainstore is Beliza, a formal updo. Again, notice the low display weight. 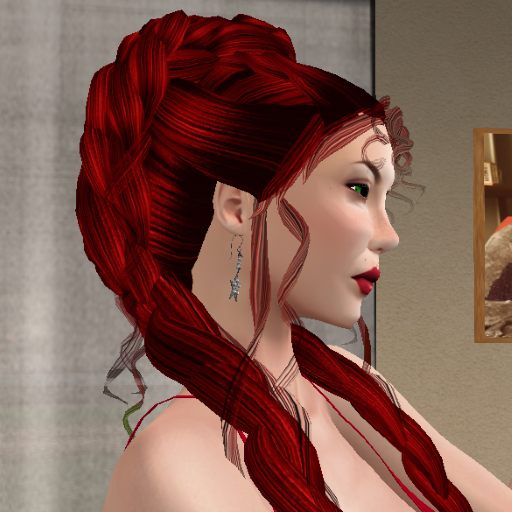 In case you missed the earlier post, the display weight is basically how many prims the style adds to your avatar. The lower the better, because it reduces lag. The complete set, which contains all the colors you see above, is $L1500. You can get it in Mixed Platinum for $L50, or in Autumn Cinnamon as a free gift below the voting board inside the Mainstore. Regardless, I’ll be adding Beliza to my regular rotation of styles. Beliza, from Alli&Ali Designs Mainstore. 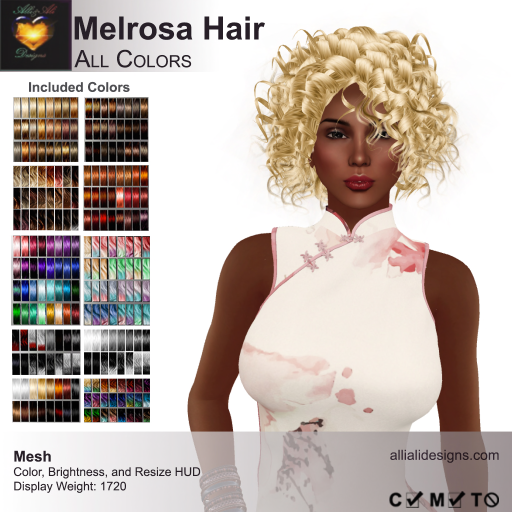 This week’s offering from Alli&Ali Designs Mainstore is Melrosa, a lovely curly head of hair that looks good on anyone, no matter the color you choose. It’s another style with a low display weight, and it’s yours for $L1500 for the complete set, as shown above. If you’re on a tight budget, Melrosa Fire can be had for $L50, while Variety Colors are $L250 the set. Finally, if you look below the Voting Board, Melrosa in Dark Rose is absolutely free! 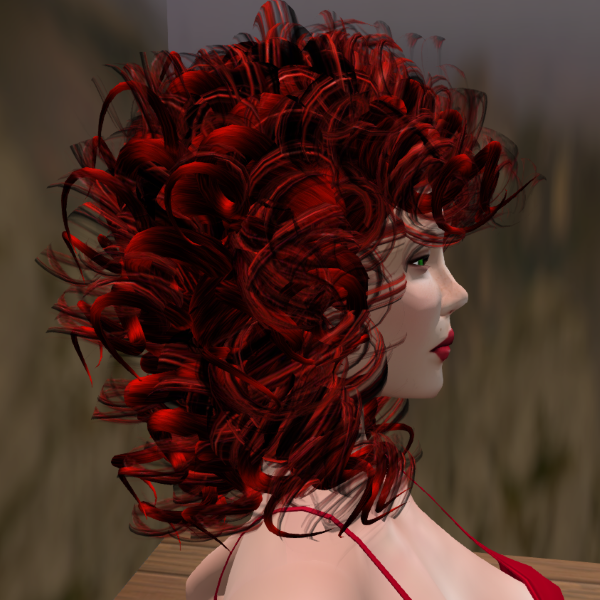 And for the last time, I’m modeling it in one of the Vampire colors. For my next entry I’ll be going back to my usual red hair. Sybil is a lovely set of curls you won’t find anywhere else than—you guessed it—Alli&Ali Designs Mainstore. I think I may have just found my newest favorite style! 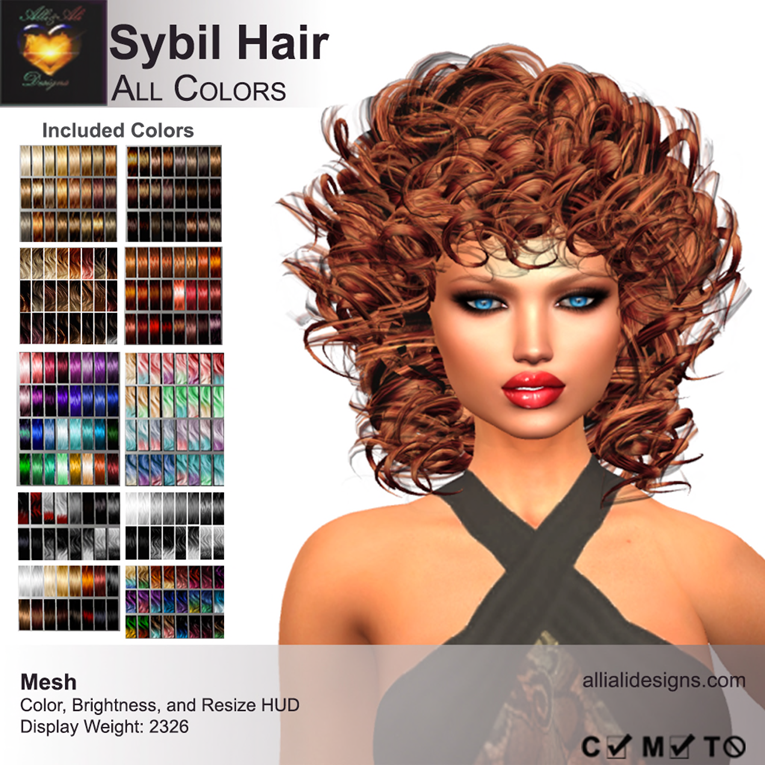 Sybil, from Alli&Ali Designs Mainstore. Remember, folks—and especially you women—you can’t go wrong shopping there.